I purchased the Shoei Qwest Sonoma helmet about two or so months ago. It’s definitely been a giant leap from my previous Hawk helmet. When I went to upgrade my helmet, I was largely looking for one which reduced wind noise, and was well visible on the road. The fit of the hemet is very comfortable and snug, along with being fairly lightweight at 3.6lbs. Riding with the helmet I experience very little drag, which tells me the manufacturers put a lot of work into ensuring superior aerodynamics. Adding to the comfort is the cushy cheek padding inside. The shield allows for excellent peripheral visibility, much improved over my old Hawk. Since the sun’s always shining in Cali, I switched out the stock clear shield, and replaced it with a smoke one. This was an easy switch because of the quick release component of the helmet. Although the helmet comes in a variety of colors, I chose to buy the Qwest Sonoma in white. I rode in all black everything for just about two years; helmet, jacket, gloves, motorcycle. There were far too many close encounters for my comfort level, and I believe my color selection had lot to do with it. So, I switched things up to become more visible. I looked at both the all white Qwest Sonoma as well as the white with airbrush finish. I like to be a little showy so I went with the airbrushed, at a cost of more than $200 extra. Wind. Wind. Wind. I love it and hate it. On hot days I crave it, but I can’t stand hearing that high pitched whistling sound when I’m riding. It’s truly a pet peeve. So, for me this is the only real negative aspect of the helmet. While you are able to close all the ventilation slots, it can get pretty stuffy in the helmet or really hot if it’s a summer day. Like I stated above, it’s not so much the wind, it’s the whistling sound created by tight space and wind getting inside the helmet. I’ve played with which vents I open, and which ones I close to get rid of the whistling sound, but it’s tough. This is still a huge improvement from my last helmet, so I accept the small noise intrusion. On the other hand, the air vents have saved my life this summer. The vent on top of the helmet allows a lot of air inside, as do the two vents on the back of the helmet. The past few days the temperature has gotten up to the hundreds. Riding with all vents open, I haven’t found the ventilation overwhelming. Like I said, love hate relationship with wind. Overall, I think the Shoei Qwest Sonoma helmet is solid. Retailing at an average of about $499 isn’t too bad either. You truly get what you pay for when purchasing a helmet. 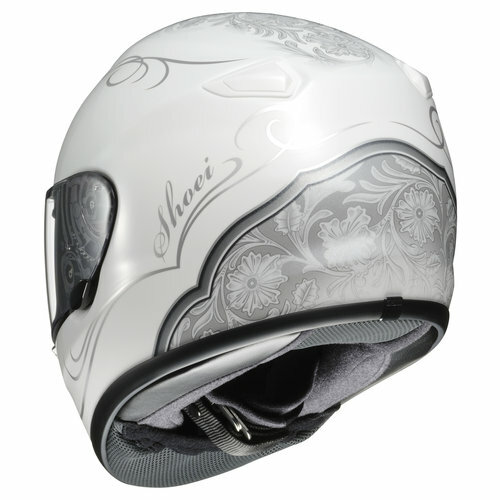 A benefit to this Shoei is an included five year warranty, as well as free impact inspection service. So breathe easy, this helmet’s no dud.